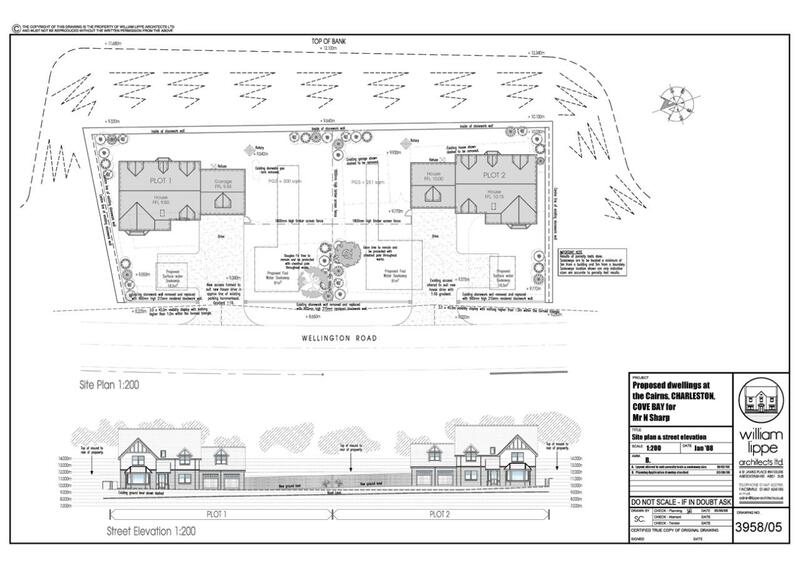 Plot with full planning permission for demolition of existing dwellhouse & outbuildings and for construction of 2 detached dwellhouses both with double garage. Services available. Price over £300,000 Entry by arr. Viewing contact solicitors. 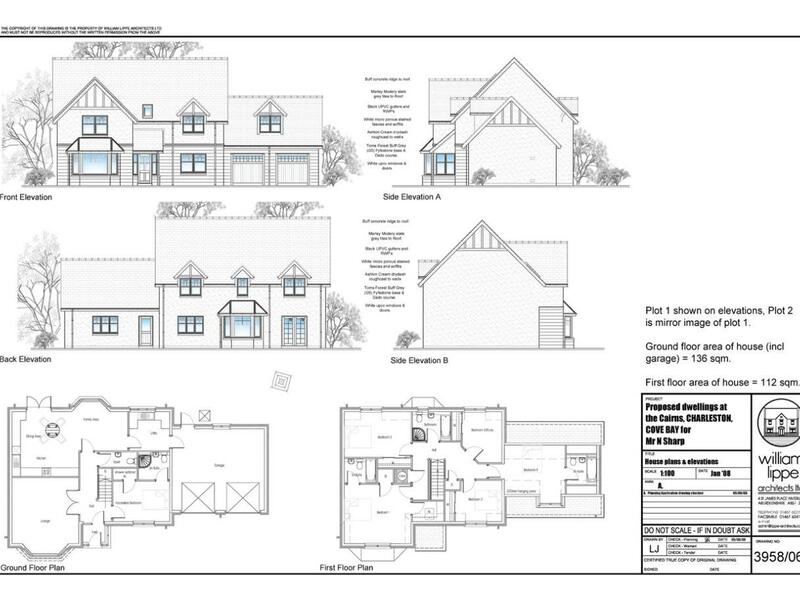 We are delighted to present for sale this generously sized building plot with full planning permission for the erection of two detached, five bedroomed dwellinghouses. Enjoying a good location on the old Wellington Road, close to the popular Village of Cove and lying some four miles to the south of Aberdeen City Centre, the full Planning Permission granted is for the demolition of the existing two storey house and outbuildings on the site, and for the erection of two impressive, five/six bedroomed, detached dwellinghouses, each with double, integral garage. The properties, which would each extend to approximately 215 sq m, will occupy sizeable plots and are designed to provide excellent family accommodation over two floors. It is anticipated that each property would have a modern wet central heating system, and services are available on site with drainage to be to a septic tank. Details of the proposed development can be obtained by contacting the Selling Agents, and, given that opportunities of this nature are rare, early enquiry is recommended. 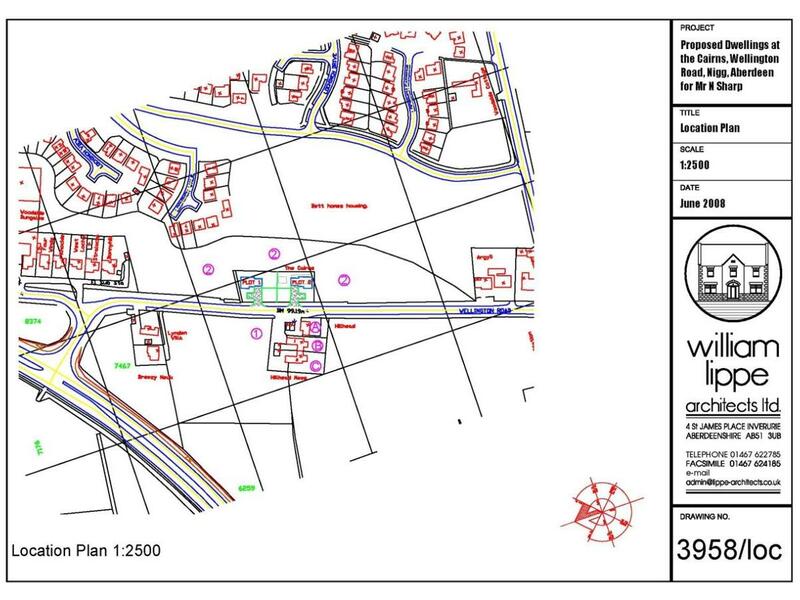 GENERAL: Please note it is believed that, subject to obtaining the appropriate Planning approval, the Site may alternatively be suitable for the erection of three, four-bedroomed dwellinghouses. LOCALITY: Cove is a thriving coastal suburb lying to the south of Aberdeen City, within easy access of the City Centre, the picturesque Town of Stonehaven, and the oil-related offices at Altens and Tullos. Local amenities are well catered for within the Village, with shops serving everyday needs, community activities, and public transport ensuring ease of access to the City. A wider range of Supermarkets and leisure activities are available at the nearby Bridge of Dee, and the old Village boasts a picturesque Harbour, pleasant coastal walks, and a Hotel with reputable Restaurant.